We inherited this tired little mocca machine from a friend of ours when we moved to New York in 2012. He was moving from there to London to start his studies at Goldsmiths. 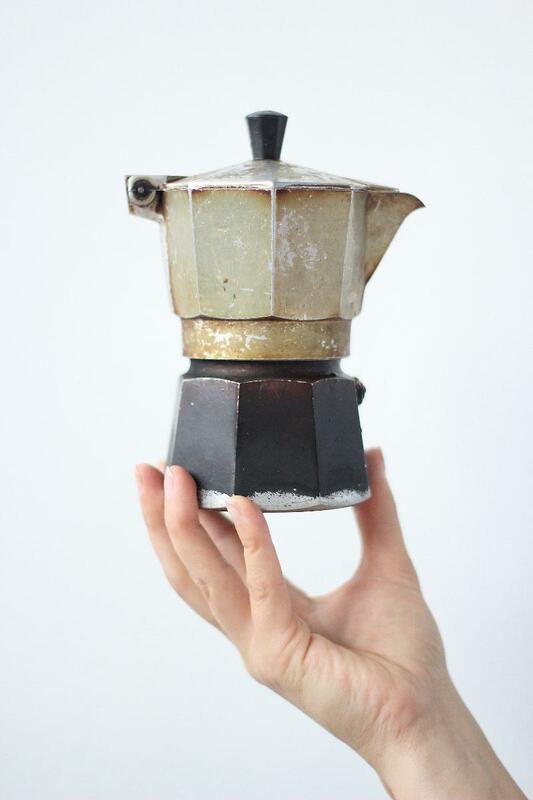 Since then, the machine has lost a few of its steel body parts, gained even more dark patina from the heat and coffee. It became the most loyal companion in our nomadic way of life. Together it traveled to Vilnius, to Malmö, to Berlin, to Vienna, to Nida, to a remote island in Greece. In the later one, we shared a kitchen with a fellow artist from Finland. He was (s)lightly shocked when we offered him to make his morning coffee with this worn out mocca machine. But once he tried it. Since then we were woken up by the coffee aroma from the little machine every morning. It became part of his nomadic story. Apart from our laptops, it is the only constant thing that makes any place home. You just need to fill the space with its unique smell of that brown liquid that accelerates our day. Wherever we meet it.